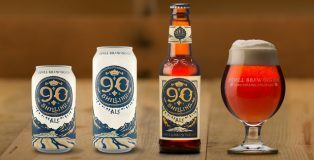 At PorchDrinking, we’re all about “drinking small” and supporting our local beer communities, so when we heard of some smaller breweries using locally sourced ingredients from their own yards, gardens, and communities, we were immediately intrigued. 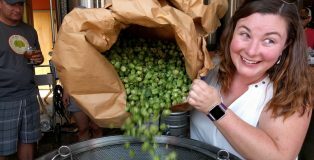 Ingredients can be one of the most challenging parts of running a brewery; locating, coordinating, and purchasing these items for smaller breweries is a moving target. 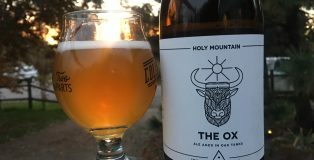 The following local breweries are getting creative by using community connections to create beers that both tie directly to their area while creating completely unique brews for their neighborhood. 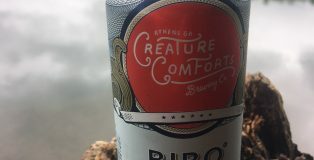 Autumn can be a very glorious yet polarizing time of year as the cool air begins to creep in and push out the warmth of summertime. For some, it marks the return of football season (yay, sports! 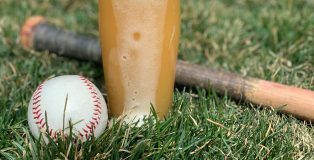 ), for others, it points to the return of the PSL (Pumpkin Spice Latte ala Starbucks), and still, for other hopefuls, it could mean getting to fret over your Major League Baseball team for the next month. 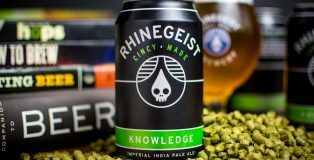 The latter is what led me to this bold beer, Knowledge, an Imperial IPA by Rhinegeist Brewing.